Taking in the carnival of Orlando, the old-Floridian island vibe of Anna Maria Island and the boutique luxury of Naples, editor of Carl Goes city guides Sasha Arms embarks on an epic road trip in Florida. The American dream goes hand in hand with the freedom of the open road, which really started with the arrival of the automobile in the U.S. So there’s nothing more apt that vacationers can do than rent a car and hit the road when Stateside. And the sunshine state of Florida provides the perfect backdrop. On arrival at the Avis car rental desk at Orlando International Airport, we decided to splash out on an upgrade, and what a good decision that turned out to be, as we became the proud owners of a spanking new BMW 328 (for the next two weeks, anyway). A Floridian foray is so much better when done in style. Most car rentals, including Avis cars, have in-car devices you can switch on allowing you to drive straight through the prevalent tolls in Florida. Payment is collected automatically from you via Avis at a later date. You can’t fly into Orlando without experiencing at least a little of what the city of entertainment has to offer. 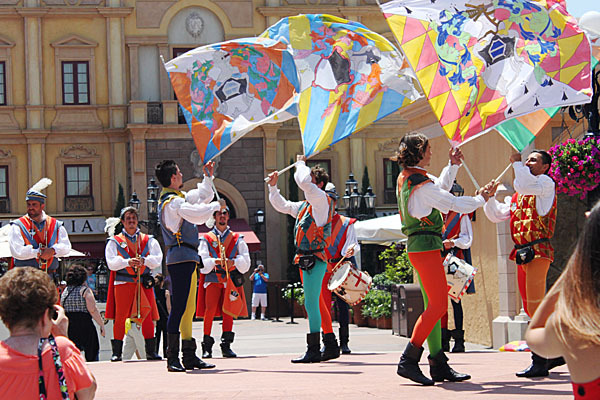 We headed to Disney’s Epcot Center, the theme park touted as being interesting for adults as well as children. The science section is all about discovery, from boat journeys through warehouse-sized greenhouses to simulated missions into space. The world section presents food, shows and 360 movie theatre experiences to get a taste of countries from Norway to Morocco. Disney’s hopper pass is a great way to get unlimited access to Disney’s four theme parks and two water parks and is valid for 30 days. In the evening, the carnival atmosphere continues at Downtown Disney, with throngs of visitors shopping, eating and watching live performances on the street. 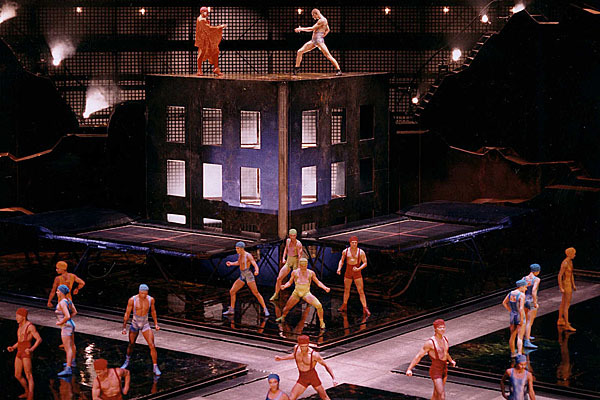 We got tickets to Cirque du Soleil’s La Nouba show in the huge domed tent. A true masterpiece of choreography and comedy, acrobatics and art, Cirque du Soleil offers a slice of genuine theatrical wizardry and cannot be missed. There’s no shortage of eating places in Downtown Disney and everywhere seems packed to the rafters, evening after evening. 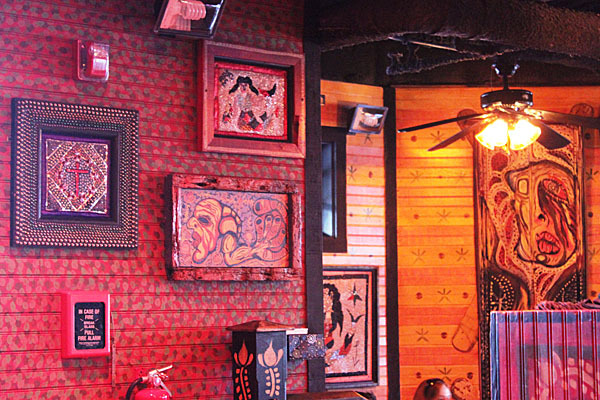 For us, House of Blues was the only option, a well-known brand in the U.S. known for attracting big-name music talent as well as offering big-deal food. Our artichoke dip and pulled pork sliders as appetisers were packed with flavour and huge in portion, but we managed to make room for the melt-in-the-mouth St. Louis rack of ribs and the buffalo chicken salad, peppered with black beans and blue cheese crumbles. An immense meal topped off with potent cocktails and the deadpan charm of our server Ryan, we would definitely return again. The Grand Reunion Resort in Kissimmee makes for the perfect respite from Orlando’s carnival atmosphere. Accommodation ranges from villas across the pristine estate to suites in the lodge, where we stayed. Grand and sumptuous interiors with fully fitted kitchens and balconies with views over the golf course and gorgeous gardens are the order of the day here. The resort also offers facilities galore, including restaurants and bars, a fitness centre and swimming pools. Grand Reunion even has its very own water park. Many people plan hectic days in Orlando; Grand Reunion Resort ensures you get some relaxation time too. It’s the draw of Florida’s 8,500 miles of coastline and tidal areas that brings so many visitors to the sunshine state, so a Florida road trip takes an inevitable focus on the coast. Anna Maria Island is the embodiment of old Floridian island life (although it’s attached to the mainland by a road) and we could have easily spent our full two week vacation here. The southern part of the island is a little more built up while the northern part is home to larger homes and a more laid back vibe. Rugged white sandy beaches abound wherever on the island you are, and a free trolley running the length of the island makes it easy to get around. Lazy days are spent supping coffee at Ginny & Jane’s, eating a panoply of ice cream flavours at Two Scoops, and watching wild dolphins play games with the fishermen at the end of City Pier. It’s an idyllic way of life that’s easy to slot right into. When it comes to food, there are some great options on the island and seafood abounds. Sandbar is directly on the beach and the outdoor seating peppered with soft globe lights pave the way for charming evenings watching the sunset and eating well. We shared a huge plate of calamari prepared New England style to begin with, which turned out to be some of the best of the trip, the garlic and kick of chilli giving some welcome zing. We went on to eat the Anna Maria Island salad followed by mahi-mahi and swordfish dinner specials. Perfectly seasoned and packed with the sweet freshness of the sea, we were impressed by the quality of the food enjoyed against a casual, beachy vibe. Beach Bistro is an upscale restaurant set inside an intimate dark wood panelled building that feels a little like a first class cabin on a ship. The pièce de résistance of the interior is the window that perfectly frames the beach outside and the sunset beyond. The flavours on the menu have been exquisitely pieced together and we decided on the five course tasting menu to get the maximum impact of the chef’s genius. The first three courses build up to the main event. We started with ‘One Helluva’ tomato soup, maple charred butternut and perfectly al dente brocollini, delicate smoked salmon and oyster mushrooms with delicious farro. Caesar salads then paved the way for the main course, for which we had the sweetest bourbon and maple grilled gulf shrimp and the ‘Grouper Cooper’ topped with butter-poached lobster. One of the classiest restaurants on Anna Maria Island, Beach Bistro is also one of the friendliest, with fellow diners feeling like old friends by the end of the evening. 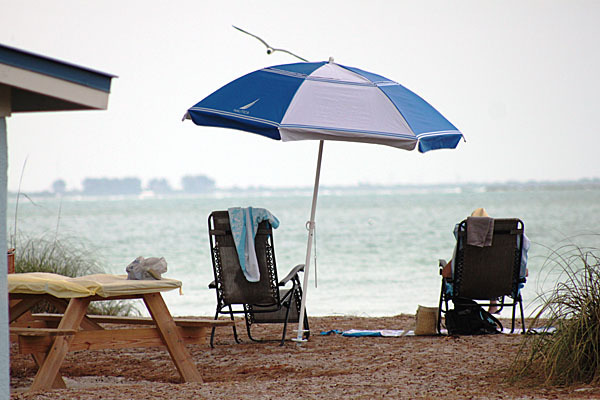 There are plenty of accommodation options on Anna Maria Island, and with a recent building frenzy, more of these options consist of high-spec rental houses filled with all the mod cons. For a true feel of the old Floridian charm of the island, the family-run Haley’s Motel is the only place to stay. There’s a laid back beachy feeling to the property and suites come with homely touches and private outdoor patio areas. It’s ideal for the days you don’t feel like venturing far, as you can grab a few beach chairs and head down to the beach just a hop and skip away, or simply chill-out at the Haley’s pool and the quirky, trinket-filled seating areas. Evenings can be spent cooking up a storm on one of the complimentary gas grills and chilling out in the cozy patio areas by each room. It’s definitely the place to go for the real Anna Maria experience and places like this are hard to come by on the island, not to mention across the rest of Florida. 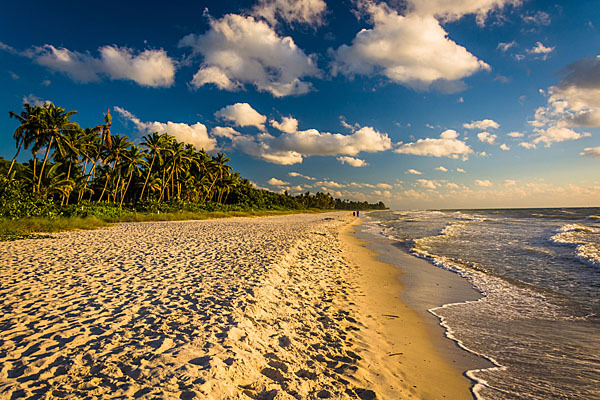 A few hours south along the coast is a town embodying the other type of Florida charm. 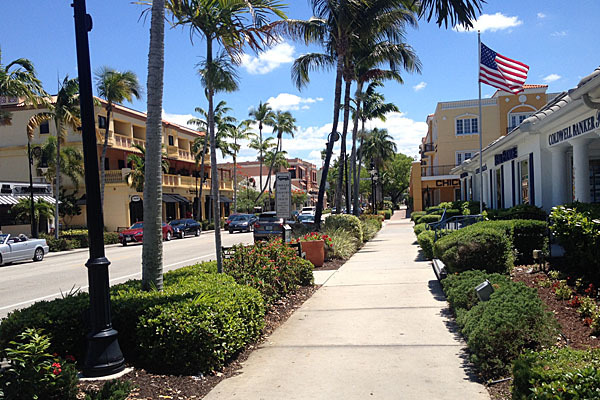 Naples is one of the most well-to-do communities in the whole of Florida, with life centering on Fifth Avenue. Boutiques and pavement cafes make Naples a place for strolling; wander along Fifth Avenue and you’ll eventually reach the beach at the end of the road: a gem of an undeveloped coastal spot ideal for bracing picnics in front of the crashing ocean. If the unspoiled perfection of Naples life is what you’re after, the only place to stay is in the middle of the action at the Inn on Fifth. Embodying the grand ochre facade on the main strip on Fifth Avenue, the Inn on Fifth is a hotel with exceptional attention to detail. Splash out a little and stay in the Inn on Fifth Club across the road from the main hotel, which gives you access to the concierge lounge, snacks throughout the day and evening drinks. Not to mention the roof top terrace complete with hot tub. We would have stayed there forever if we could have. The main part of the hotel is home to an equally decadent terrace pool and a larger than average hotel fitness centre. 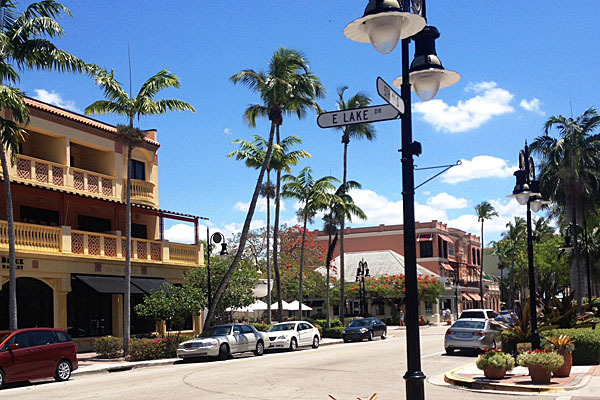 Naples is the kind of place where you treat yourself, and the Spa on Fifth is the place to go for a little pampering. Inside an unassuming-looking door tucked away inside the hotel is where the moodily-lit tranquillity of the spa can be found. Treatments can be experienced alone or in pairs, with the opportunity to use the sauna afterwards, before floating back to your room in the hotel in a wave of relaxation. Fifth Avenue is home to a range of restaurants to suit a range of palates and budgets. The newly refurbished Avenue5 is the place to go for a dress-up, higher-end evening out. The freshly baked bread comes with three different types of butters and is the ideal accompaniment to perusing the extensive wine list where Californian wines dominate. Menu items come with the class of European cuisine with American style portions, courtesy of Avenue5’s chef John Welch. We went all out for our main courses and had the baked stuffed Maine lobster tail, which came with a delectable filling of Gulf shrimp, diver sea scallop, orzo pilaf and lemon butter: a true feast of the sea, appetisingly prepared. The grouper was on the specials board that evening which my dining companion couldn’t resist, and it proved to be another triumph of the sea. A little out of town but guarding a prime spot of the Naples coastline is the Naples Grande resort, a spacious and luxurious spot to spend some time. We dined at the resort’s Catch of the Pelican restaurant, with an unusual interior of modern furnishings and a cinematic decor that plays with depth and light. 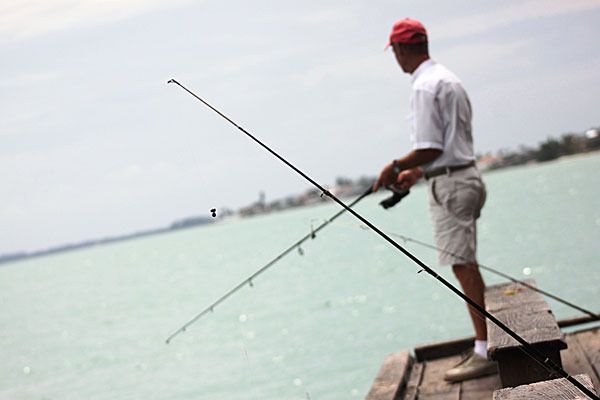 In terms of the food, the menu is full of home-cooked favourites and fresh fish. The New England clam chowder to start with was creamy and delicately prepared, while the miso broiled sea bass for the main course was an original Japanese-inspired take on a locally adored fish. We also sampled the filet mignon steak, cooked medium with the house steak sauce, which was tender and exquisitely seasoned. Naples is a special place we were sad to wave goodbye to, but did so safe in the knowledge we would return for a reunion one day. Stay tuned for part two of the Sasha’s road trip as she continues her journey from Miami to the Florida Keys! Save money on car rentals with Fly.com/cars.